We are constructing the Ultraframe LivinROOM for our Supercraft customers. Find out what it is below! Incorporating our LivinROOM design elements into your orangery allows us to create a fully bespoke space, entirely suited to your requirements. 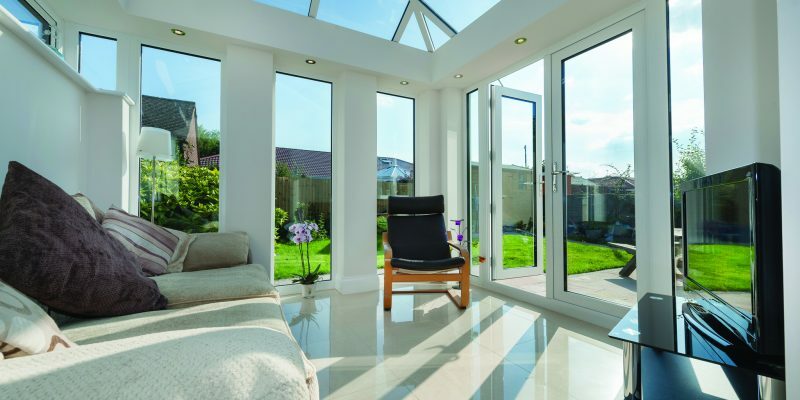 Orangeries offer a versatile and multi-purpose space and our design experts will help you encompass both your personal tastes and your property characteristics to create an orangery that balances both. The Ultraframe orangery range, like conservatory styles, features traditional and contemporary designs, falling somewhere between conservatory and traditional extension styles. With their brick pillars, orangeries offer more privacy than conservatory styles and the interior height provides a breathtaking focal point through which light floods in to your home. Your Ultraframe orangery will also offer a seamless link between your home and garden to make your living space perfect. 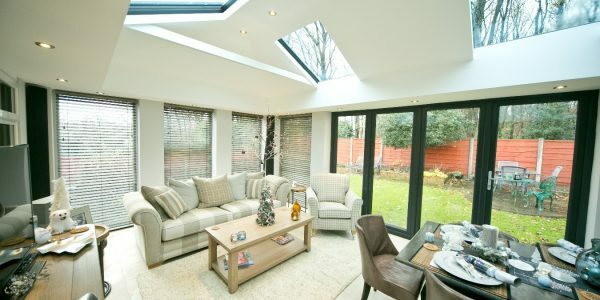 How is the LivinROOM Orangery different? The LivinRoom Orangery is the best of both worlds, combining light and sky of a conservatory with the walls and ceiling of an extension. 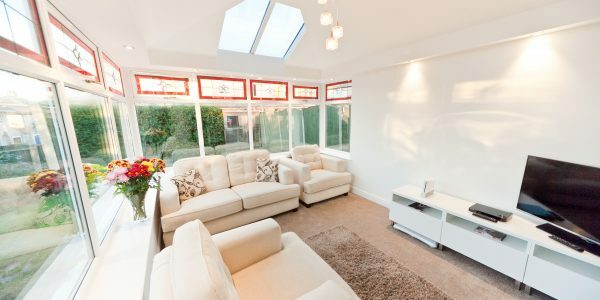 The LivinRoom Orangery is a truly multi functional home extension, creating a pleasant and relaxing space or alternatively as a family room. The LivinRoom Orangery uses the well proven Ultraframe Classic roof at its heart, and a well engineered internal framework is added, then plastered, to give a perimeter ceiling all the way round. What different LivinROOM styles are there? The LivinRoom Orangery can be used in a range of shapes from Victorian, Georgian, Lean-to and Gables. The LivinRoom Orangery is also suitable to be used with box gutters, meaning there is almost no limit to the design you can have. Down lighters and speakers can also be built in to the perimeter roof, so the homeowner can truly stamp their mark on this living space. A further option is the external Cornice aluminium guttering which adds to the overall external visual effect of the LivinRoom Orangery. 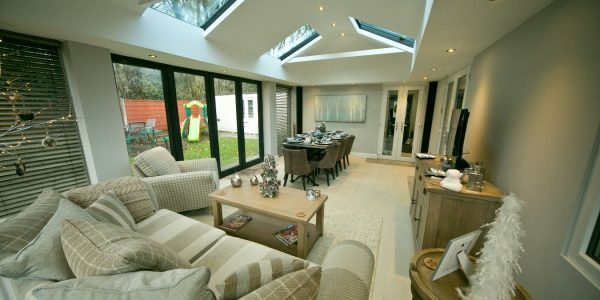 See how the LivinROOM Orangery is different to a traditional Orangery. Watch this short video to see how your LivinROOM is built. Supercraft and Ultraframe have a range of different styles and colours to use. 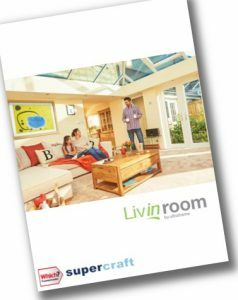 Download our LivinROOM Brochure to get an overview of the products and services that we can offer you. Get all of the information you require at your leisure. Browse through the pictures to see which style you desire. 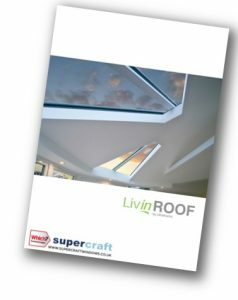 Download our LivinROOF Brochure to get an overview of the products and services that we can offer you. Get all of the information you require at your leisure. Browse through the pictures to see which style you desire. 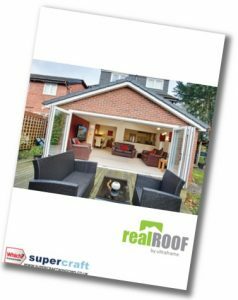 Download our RealROOF Brochure to get an overview of the products and services that we can offer you. Get all of the information you require at your leisure. Browse through the various pictures to see what kind of roof is the best fit for you. 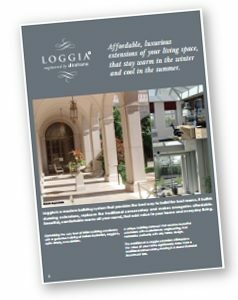 Download our Loggia Brochure to get an overview of the products and services that we can offer you. The Loggia is a modern building system that builds stunning extensions, replaces the traditional conservatory and makes orangeries affordable.